I have just returned from delivering a workshop on i-docs at the Freiburger Film Forum, alongside Florian Thalhofer, inventor of the Korsakow system. It was great to see Florian again and our respective talks sparked a lively discussion between us on the evolution of interactive documentaries. As two of the pioneers in the field – Florian having invented Korsakow over fifteen years ago and me having completed my PhD thesis on interactive multimedia in 2003 – we both had a lot to say on the current state of play with i-docs and on the possibility of a ‘linear turn’. I provide here the key points that we discussed, as a provocation for further discussion and debate. The workshop was a three-hour session aimed primarily at documentary film-makers and anthropology students using film as a research tool to document aspects of their fieldwork. As such the participants were interested in how i-docs could expand their horizons not only as consumers of media but also as active producers. Whilst their fieldwork often involved collaborative engagement with their documentary subjects, they also wanted to understand how i-docs could be used as a tool to help them with thinking through their ideas and with presenting their findings. It was this angle that provoked the lively discussion with Florian and brought me back to my roots in i-docs based on the early ideas of the hypertext pioneers and on my own background in visual anthropology. First, a brief overview of the workshop. Florian and I each delivered a presentation with time for questions and discussion at the end. I presented an overview of the field, focusing on questions around intent/purpose and finishing with some examples of recent successes, including ‘Alma‘, ‘Bear 71‘, ‘Operation Ajax‘ and ‘Out My Window‘. Florian then presented his work with Korsakow, in particular his first project ‘Small World’ his interactive film on ‘Forgotten Flags’ and his most recent project on ‘Money and the Greeks’. He also talked about the live shows that he has devised, which use the Korsakow system to provoke live debate between two experts and a voting audience around a topic or theme. What sparked the discussion was Florian’s observation that the majority of the examples that I presented were either linear or multi-linear in nature, a far cry from the early hypertext projects out of which the interactive documentary genre has evolved. His point was that these projects use all the tricks of the trade in terms of using Hollywood style narration, manipulating our emotions and asking us to suspend our disbelief, as we enter into the world that is presented to us. Given that these projects have been receiving a lot of attention of late, his fear was that this is what audiences/users/participants would come to expect of i-docs, and that the wider possibilities would become lost to obscurity. It made him feel sad to think that this could happen. For those not familiar with Florian’s work, the Korsakow system is a software tool, which facilitates nonlinear approaches to digital storytelling. In fact, Florian is wary of the term ‘story’ and prefers to see the software as a tool for the more general presentation of ideas and arguments around a topic or a theme. When he creates projects with Korsakow, he tends to set up a topic and then allow his audience to explore the subsequent materials that he makes available to them in order to draw their own conclusions. Ultimately Korsakow lends itself in particular to the non-linear treatment of videoclips, although other materials such as photographs, soundclips or text can also be used. It is open source and free to download for projects with small budgets. This means that the software is readily available to others as an authoring tool for the creation of their own projects. Working with Korsakow typically involves creating a closed database of short videoclips assigned with ‘in’ and ‘out’ tags. Whenever a particular clip appears on the screen the database is queried for other assets whose “in” tags match the “out” tags of the current video. Any matches will then be displayed as related options for viewing. It is entirely up to the author to decide on the structural relationships between the clips. As such, sections of a Korsakow film can be completely linear if the author so chooses. Whilst the majority of projects are presented in online formats, Florian’s live show format involves experts using videoclips to help present their different points of view on a topic or theme. The audience members are given a laser pen, which they use to point at the screen showing their preferred point of view. The voting system works on democratic principles, with the majority decision being the one that determines the next set of clips to be shown. In the past, I have found Florian’s approach to narrative problematic, feeling that he puts off taking responsibility by setting up an argument but then not being brave enough to follow it through. It has always felt somewhat ironic to me that, in wishing to create a tool to help people to explore multiple truths, he should set up his topics by making strong provocative statements through linear means. However, context is all, and after our discussion I now have a better understanding of the purpose behind his approach. His specific intention is to be provocative, in order to elicit a response from his audience and activate their engagement. Now that I know this, I feel more inclined to go along with his methods and suspend my disbelief, as I am willing to do when I watch a film. I am particularly drawn to the ideas behind his live shows, as bringing people together face-to-face is always for me the most effective way to orchestrate a debate. My response to his provocation around overly linear i-docs was that this was just another phase in the evolution of the genre, reminding us of the value of well-crafted storytelling but not necessarily meaning that i-docs as a whole are moving in this general direction. However, I do acknowledge the fact that the history of ideas is littered with good ideas that never came to fruition, with the computer world being no exception. 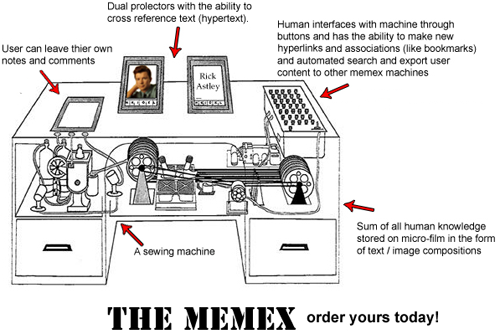 Whilst Alan Turing’s work has now become more recognized, who nowadays talks about Vannevar Bush or Ted Nelson – both key pioneers in terms of their respective thinking around the Memex System and Project Xanadu. 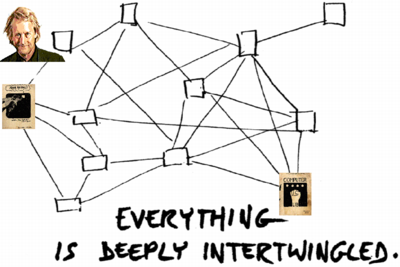 Given my original interest in i-docs for their potential to convey multiple points of view and to give us new tools through which to examine complexity, this is indeed a worry. It has to be the job of communities like i-Docs to keep the field open and to make sure that history isn’t just written by the winners. I have been genuinely excited by recent developments in fluid interfaces, particularly on tablets such as the iPad, which facilitate greater emotional engagement and intimacy than has previously been possible on desktop computers. For me, these interfaces have helped to resolve many of the problems with the stop-start nature of CD-ROM and web-based i-docs that, in my view, made these earlier forms somewhat unsatisfying. 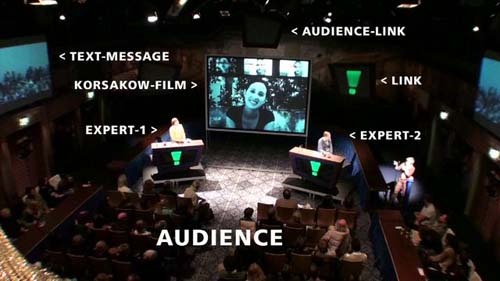 However, it is not surprising to me that these interfaces have led to the development of some well-crafted examples of linear or multi-linear storytelling, with the jury still being out on the extent to which these interfaces can be used to create engaging contexts for non-linear storytelling. I shall be returning to my PhD thesis over the coming weeks to remind myself of my thinking around hypertext and to make sure that it is not just the intimacy and fluid interfaces for the iPad or the spontaneity that can be achieved through convening live events that is driving me forward. Whilst I have no objection and am pleased to see Hollywood style cinematic narration as part of the broader mix, I would be very sad if such approaches were to take over at the expense of ongoing work with alternative forms and approaches. The ongoing development of tools such as Korsakow and the Mozilla Foundation’s Popcorn maker is important, in that they are making i-docs more accessible not only to consumers but also to makers. We need these tools to think with and through, in order to create active opportunities for engagement with the construction as well as the representation of reality in a world of multiple truths. Long may they last!